Powerpoint® can be a powerful tool, IF you know how to use it! 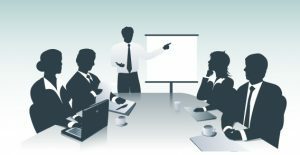 This class will teach you all the capabilities and hidden secrets of this amazing program, plus how to use it to make your presentation better, not worse. Of course, even the best slide decks in the world can’t help weak content, so you’ll also be taught best practices in content development. You’ll learn the in’s and out’s of themes, layouts, masters, formatting, animations, transitions, and how to insert every kind of media possible. You’ll also learn how to finalize your show, run it, and print it! Bring your laptop and your past/present/future Powerpoint® projects – and get ready to wow the team back at work!